I am a lot like Big Sis S(BSS) or is it the other way round ? Whatever it is we both try to avoid things that are hard. Force us in a difficult situation and we will be fine coping with it and coming out stronger but given a choice we will try to avoid the difficult route. Take BSS. She started Piano lessons some time last year. She loved it, practiced with diligence, sailed through her lessons as if she was a musical genius and played at the drop of a hat. Things started changing couple of weeks back. She started giving excuses around practice time, musical enthusiasm hit all time low and a marked drop in excitement on lesson days was noticed. A talk with her Piano teacher revealed what I already knew. Lessons had gotten harder and as Little Miss BSS was not able to sail through them as easily as on a cloud, she was no longer as enthusiastic about them. We had a little talk, that kind of thing comes easy to me, I love it when I am at the giving end of such talks. Things seems to be better now, it is not that hard to motivate a 6 year old after all. Take Me next. Dhokar Dalna, the master piece of Bengali Cuisine has eluded me all these years. 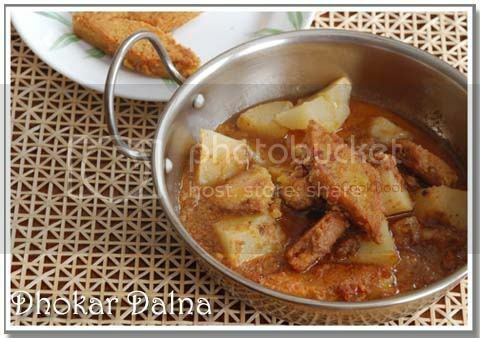 I love Dhokar Dalna, to eat that is, to cook, I always dismissed it as "too difficult". Ok, I think I did it just once but that just reinforced my belief that it took too much time and oil to be deemed worth repeatable in my kitchen. However BSS's example triggered me. If that little girl could go back and do her "Lets Rock" or whatever sheet music several times over, I could at least try Dhokar Dalna once more. So I made it today, I wouldn't say total success, there are these small nuances that need to be taken care of next time. 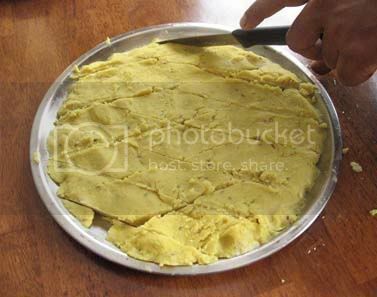 I am yet to get the right texture for the lentil paste to make the cakes and some of my dhokas or lentil cakes were cracking which shouldn't happen. But I think I did conquer my fear. After all my three decades and more of existence has taught me that "Done is better than perfect"(quoted from Scott Allen), at least some times. 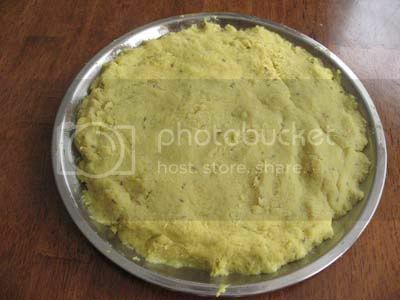 Dhokar Dalna, is one of the pillars of Niramish(Vegetarian) Bengali Cuisine, just like Shukto. The lightly spiced lentil cakes or dhoka are fried and then simmered in a gravy made with tomatoes and ginger, spiced with cumin and coriander. 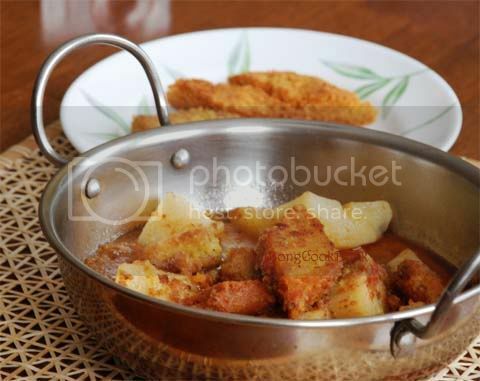 This dish traditionally is a purely satvik dish, sans any onion or garlic like most Bengali Niramish(vegetarian) dishes. Bengali widows were not allowed to eat onion or garlic and the Bengali vegetarian cuisine is mostly their contribution, that explains why it is satvik. The dhokas are such a delight and the gravy is so fragrant that you wouldn't even miss onion or garlic in here. Enjoyed best with plain white rice, the dhoka sure brings joy, though it actually means "to cheat". and 1& 1/2 tsp of Ginger paste. Add the lentil paste/ground dal to this and cook until the mix comes off the sides clean. The dal should be cooked so that is moist and soft but not runny or hard. Note: This step is really tricky.You need to stir vigorously else the paste will stick to the sides and you need to be careful to remove the moisture without making it hard. Add little oil as needed to avoid sticking. Fry 1 potato chopped in eights till golden, remove and keep aside. Add 1 tomato finely chopped and 1 tsp of freshly grated ginger. Saute till tomato is reduced to a pulp and there is no raw smell. and a little turmeric to make a fine paste. Add this paste to the Kadhai. and fry the masala at low heat. Add the potatoes and about 1&1/2 cups of water. Add salt to taste and cover and cook till potatoes are done. Adjust for any seasonings, add a little sugar. Add about 1/4 tsp of Garam Masala and 1/2 tsp of Ghee and gently mix.Now gently slide in the pieces of dhoka or the fried lentil cakes. Simmer for couple of minutes to let the dhoka soak up the gravy. Note:If like mine some of your dhokas are cracking do not add them to the gravy, rather place them on the serving dish and pour the gravy on them. Sometimes readers will leave a comment asking "How much salt?". A weighted question with no answer that I know of. Honestly, I don't know how much salt. My salt adding tactics while cooking is start with less salt --> taste --> add a little more --> taste again -->...repeat steps till equilibrium is reached.... Yes do that and do not dip the same spoon again and again without rinsing and same goes about your finger, ok not the finger maybe. Talking about salt did you know that every winter the salt dumped on US roadways is 13 times more than that used by the Food Processing Industry. 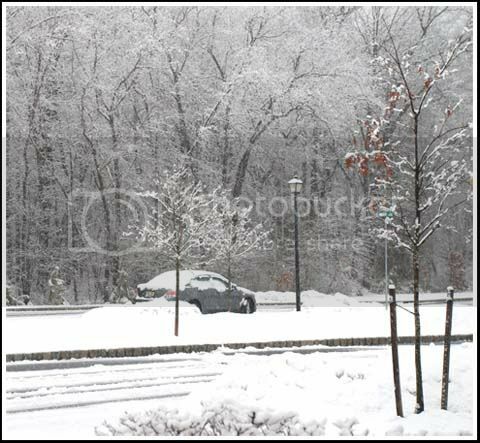 Yes, the salt that prevents your car from skidding is actually seeping into groundwater supplies and into lakes and streams thus disrupting aquatic plants and animals. So is there an alternative that is as cheap ? Not really unless you accept more judicious use of the salt like salting only the main roads and highways and using sand on the inner roads. Or salting just before the storm hits rather than later. 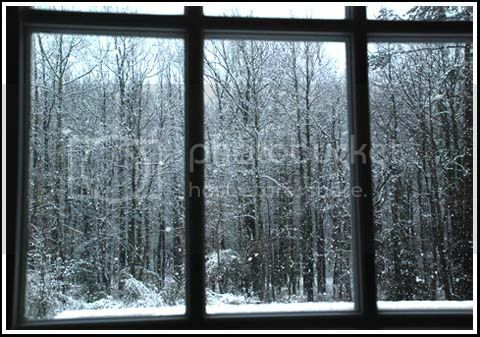 Or just staying indoors until the snow melts and it is Spring. That recipes is perfect and any normal person would not have messed with it. Me, I am "Cuckoo", as Big Sis S says. I wanted to make a Chicken with Mint and Corriander, wanted a gravy based dish and loved the Hariyali Kabab recipe. So then this followed. The chicken is first cooked exactly as in Hariyali Kabab and then the gravy follows. If you don't want the gravy stop when the chicken is done, eat them all up, lick your fingers and then lament the loss of the gravy. If you want a minty gravy, go ahead and make the gravy. Depending on your taste, increase or decrease the amount of mint and corriander in the gravy. 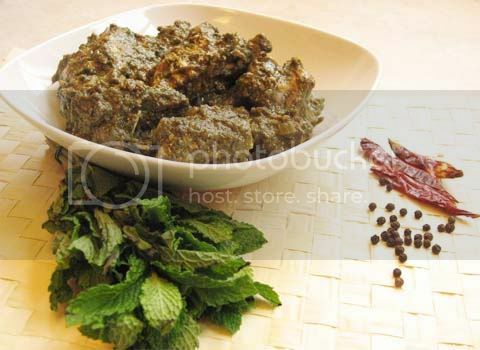 In lack of a better name I just call it Pudina Dhaniya Chicken or Chicken in Mint & Corriander Sauce. 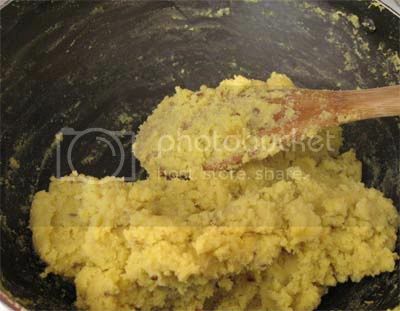 Make a thick Paste with all ingredients listed under Masala For Marinade. Marinate the washed and cleaned chicken pieces with this spice paste for 2-4 hrs. or even overnight. The least I have done is 1 hr. Remove the chicken pieces from the marinade, shake off any excess and arrange the pieces on a baking tray. I drizzle a little oil on the pieces before they go into the oven. While the chicken is in the oven, make a wet spice paste with all ingredients listed underMasala Paste for Gravy.We will add this masala paste to the gravy later. Add 1 tsp of garlic paste and saute till fragrant. Crush the Kasoori Methi between your palms and add it to above. Saute for a minute. Add 1/2 tsp of Red Chili Powder. Adjust Chili Powder according to taste. The chicken is done by now so add the chicken pieces to the pan and mix in with the spices. If there is liquid drippings in the baking tray do not add all the liquid now. 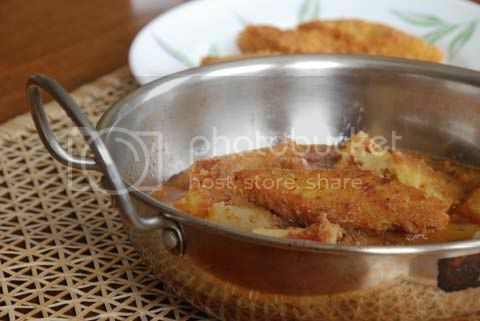 Cook the chicken with masala for a minute or two and then add the liquid drippings from the bake tray. Add little water as needed for gravy. Adjust for salt and seasoning and cook till the gravy thickens and is just enough to coat the chicken. Once the chicken is done sprinkle some black pepper powder to give a nice heat effect. For the better part of the last 7 days I have been home and so has the kids. That meant almost no computer time and no blog hopping either. Who would have the heart to keep sitting at the computer when the wireless mouse has been carried off by the little kitty ? And who would dare to open the laptop when one remembers what happened with endless plugging in and unplugging of the former ? The littlest one seems to have a penchant for doing everything that needs to be reprimanded with a big "NO" and then that doesn't stop her either, it just diverts her to doing the next. By the time they went to bed it would be very late and the precious little me time I had there after, I spent reading Ruth Reichls' "Garlic and Sapphires", a charming read about her life as a food critic for New York Times, more precious because I could savor only a few pages each day. Something that she said in the first few pages of the book had struck a chord and remained with me. Isn't that true ? 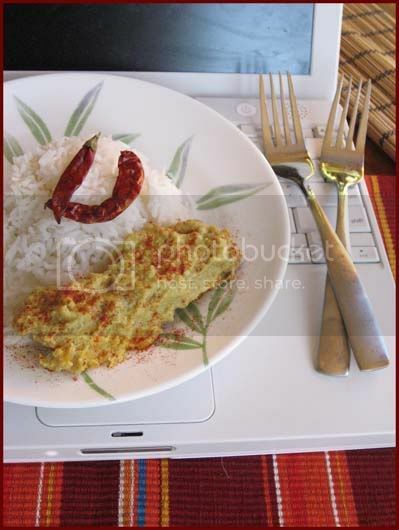 While I may praise the steamed Hilsa and prostate before it, you might find the pungent mustard smell disgusting. While you may be thinking Curd Rice is the ultimate in good food, I might think "blah" ! If we still narrow it down to two homes from the same region and same culture, I might think the cabbage dish with potatoes and spices that I have had since childhood is the only decent way to throttle the suffocating cabbage flavor you might say that the way cabbage was at your place, lightly spiced was the best. When I had posted BandhaKopir Ghonto last time, a reader wrote in saying he had found the dish more spicy than he is used to. Perfect, that was his opinion. In the same post there was a comment by Eve's Lungs about a Bandhakopir Tarkari( a Cabbage Dish) done with the minimal of spices. I loved her recipe for its simplicity and yet was not sure if I could endure cabbage with so less to camouflage it's true nature. 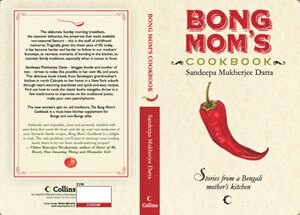 It turns out her cabbage dish is another favorite in Bengali Kitchen and my friend N vouched for it too. So I went ahead and made it, I had little to lose, it was very simple to make anyway. The simplicity of this Cabbage dish floored us. To my utter disbelief, I loved it. The husband again said, this was like the cabbage dish from his neighborhood picnic. He had said the same thing about the BandhaKopir Ghonto, remember ?And I realized I have no idea what he is tasting when he is taking a bite of that cabbage and that a lot about what you are tasting has to do with the memory you are matching it up with. Chop Cabbage in fine shreds. You can also use the packets of coleslaw. I had about 6-7 cups of shredded cabbage. Soak the chopped cabbage in water for 10-15 mins and wash well. Add the cabbage, a little at a time. As you add the cabbage saute and fold in with the spices. After you have added all the cabbage add salt and Red Chili Powder to taste, mix and cover. Intermittently take off the cover and saute. Covering and sauteing helps in cooking the cabbage faster and also requires less oil I think. You may need to sprinkle a little water while cooking or the cabbage will stick to the pan and char. When the cabbage is almost done, add 1/4 tsp of Roasted Cumin Powder (dry roast whole cumin seeds and grind to fine powder) and mix. Once the cabbage is done adjust for salt and seasonings. If you want you can add a little lime juice to the end. Now for the extra crunch, I crushed about 1/4 cup of dry roasted peanuts and added them to the dish. This step is optional and NOT part of the traditional method. Note: This adding peanut thing is totally my idea and I liked it since of course it was my idea :). Add peanuts at your own risk. As we moved places the character of the haat changed, some places they were more sunny and open air, at others they were very clean and neat but their very basic underlying characteristics remained same. 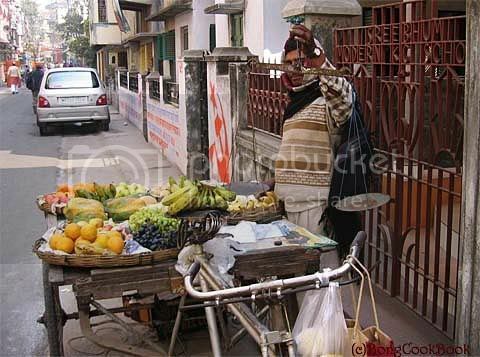 They also gave way to more local bazars, vegetable sellers sitting at residential road corners with their vegetables was a common sight. My Baba now preferred them than going to the haat. He would get everything he wanted right around the street corner. These small vendors did not have a complex supply chain system. 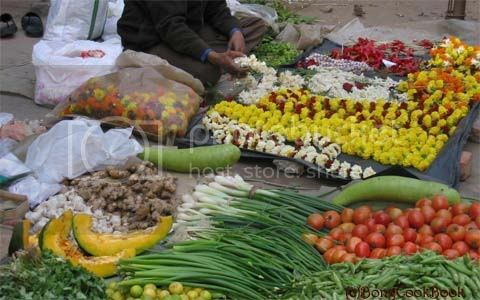 The farmers in the nearby villages and suburbs took the early morning local train and brought their produce to a nearby train station. 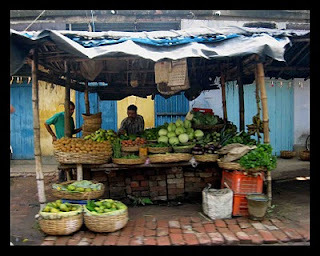 The neighborhood vegetable sellers sourced the produce directly from these farmers and sold it to the customers. With the IT boom pushing middle class Indians towards more prosperity, the retail industry in India slowly started changing. 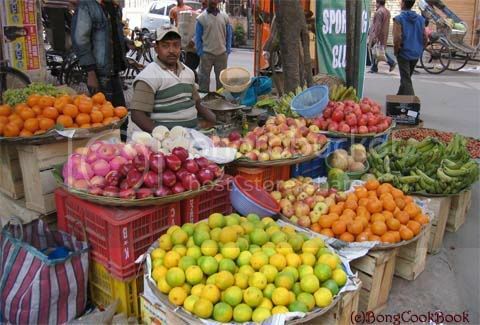 Organized retailing, though late has started encroaching the Indian market and more and more air conditioned super markets selling grocery and vegetables are sprouting in the metros. Interestingly Nilgiri's Super Markets are the oldest retail chain in India, going back as far as 1904. 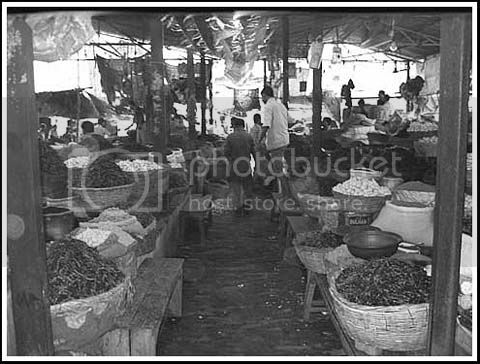 I myself hadn't seen an air conditioned grocery market until I moved to B'lore in the late nineties. I was so taken by them that I would go to Nilgiris or Food World just to pick up some small stuff. Vegetables there were too expensive by my standard but I loved their ambiance as did many of my generation. 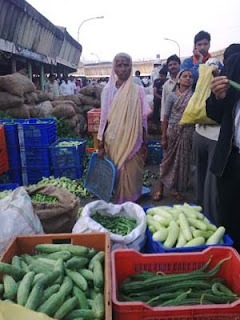 For the freshest of veggies we would make once a week trip to the Madiwala Bajar on weekends which had the same character and earthiness as the haat of my childhood but only in Kannada. Convenience shopping in the form of Supermarkets must surely be a boon for a lot of the urban Indian population who want to shop in luxury and comfort. 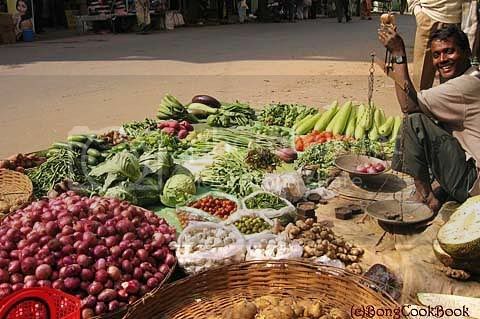 They might not be the best thing for the small farmers, the kirana stores(local grocers) and the fruit & vegetable seller at the corner though. With big names coming in to the retail grocery chains they are able to support a more elaborate supply chain management system which pushes the customers still further away from the producer. Following are some pics of a wholesale bazaar that Sra of When My Soup Came Alive sent me. Most of the vegetables sold here come from a 100km radius, she says. In spite of the big names of the retail chains, my Dad and most of his generation will still think twice before paying for a bunch of Asparagus at Reliance fresh. 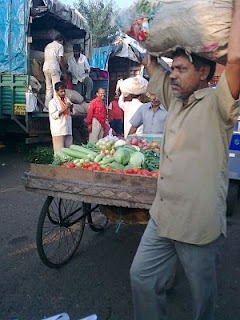 He prefers the vegetable seller round the corner as do 60% of the Indian population living in suburbs and villages. Photos courtesy of my Dad from India. I guess these are his favorite sellers. 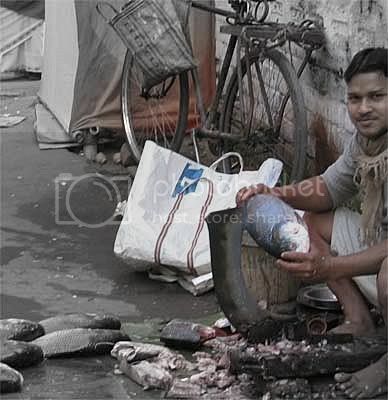 The early morning ritual on most days were very similar for middle class Bengali Men in the late 70's and 80's. A cup of tea, a quick browse through crackling pages of the Statesman or the limp ones of AnandaBazar and then a stroll to the nearby bajar for the fresh vegetables and fish of the day. Since we were not in Bengal at that time, it was a little different in our home. If I rewind to a morning back long long back, I see my Baba or Kaku or my Grandpa walking us to the school bus stop and then strolling on to the haat, see I said haat and not bajar, with two cloth bags and a reusable plastic bag for fish. 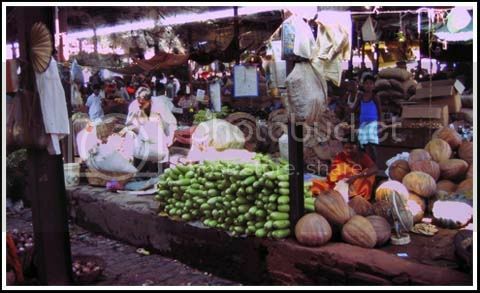 The haat, if defined in words, is a weekly marketplace where producers and vendors bring in their produce or products, either directly or through intermediaries to sell to the customers. But that is just words. That is fancy enough to describe Dilli Haat. 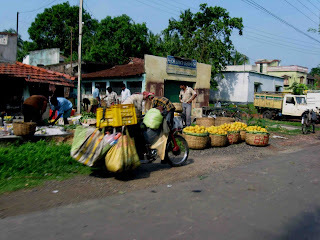 But there was a much more intense social aspect to haat which can not be defined and you need to go to one of the smaller towns and scour around for a real haat to understand. 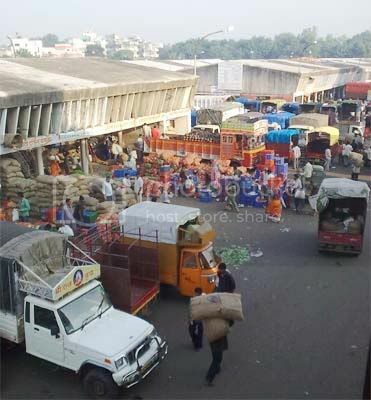 The haat in my home town was not a weekly thing, it was an every day semi permanent affair. Most of the fish, fresh fruit and vegetable vendors would wrap up and go home when the sun went higher up and the customers were few. 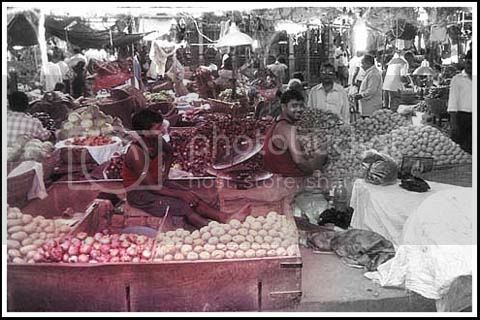 The more permanent ones like the potato seller or the one with garlic and mounds of dry red chilis lingered on till the late afternoon. 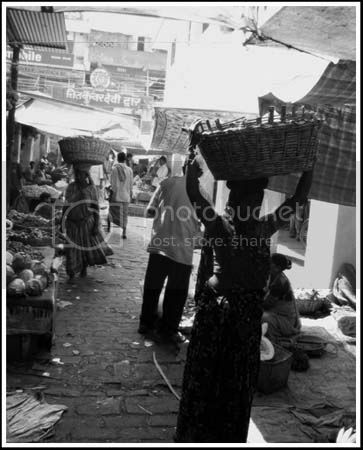 They would take a quick nap on a jute bag laid out on concrete, play a round of cards if the heat hung heavy and humid for sleep, chat and wait, wait for people to come by. My Baba would occasionally take me to the haat, on weekends. I wouldn't say I enjoyed it a lot, it wasn't an open air haat and it was a bit dingy. Smells hung in cloisters. 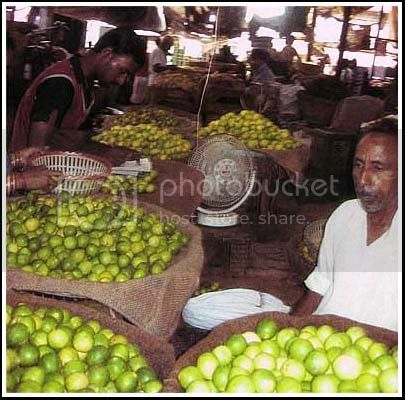 The sharp acidic smell of green lemon, the raw smell of squished tomatoes, smoky musty smell of dried turmeric and dry red chili mingled with the sweat and dust. It wasn't very clean either, with rotting leaves under the feet and squashed tomatoes on the pathway, you had to be careful about your step. Baba had his own choice set of sellers and he would proceed towards them, neglecting the cries of others, touting better cheaper produce. He had a relation set up with his potato seller and he wouldn't break the tie for such trifles. 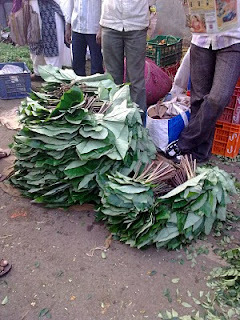 The haat was zonal, divided into zones according to the produce. 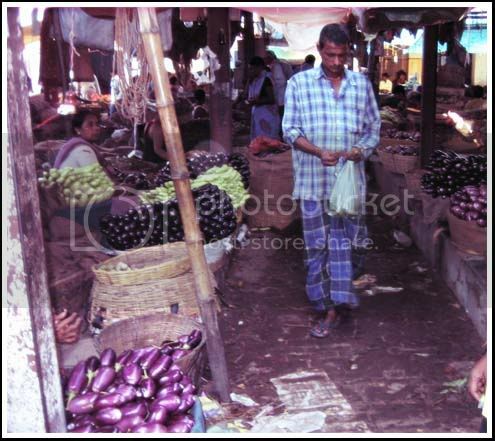 The fresh vegetables were on the fringes, the fish sellers were all together, the dusty potatoes and onions were towards the center. It was hard competition since you were selling lemons as green and juicy as your rival sitting right there at your elbow. I still do not know how they survived and maintained a friendly relationship sitting close together and selling exactly similar products. 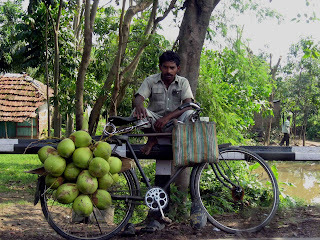 As we went around picking things, talking, discussing the days news with the sellers, the cloth bags would get fuller. 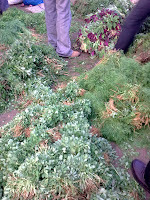 Depending on the season, there would be tender drumsticks peeping out or fresh bunches of coriander. And then we would go home, not worrying about whether the vegetables had pesticide or their genes were modified by science but whether Ma would appreciate the days pick or scorn at our choices. 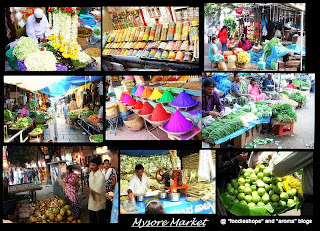 If you have a local Food Market, a bazaar or a haat near where you live, send me a pic or post on your own blog and leave a comment. If this intrigues you and you want to be a part of the fishy fashion scene request your sample here at Nanai. Today I did not cook salmon, but you can if you wish. Instead I made Rui Maach er Dum Pukht. There are two things about this dish. First, it is delicious. I have made this dish for 3 times now and unlike me , all the three times I stuck to the recipe and all 3 times it has turned out to be oh so delicious. 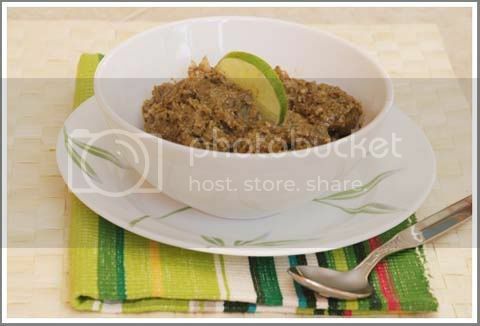 Trust me, each morsel of this gravy mixed with rice is pure pleasure. The gravy is rich and yet not heavy. The flavor of the fried onions lends a sweetness that flits through your palate. The cashews lend a creaminess that you wouldn't think you could achieve with so little effort. The recipe in itself is very simple and straightforward. I have so far used only Rui Maach, the sweet water Rohu that I get from my Bangladeshi fish seller. But I have a hunch that it will work well with salmon, only thing is with salmon I would spice it up and broil the fish pieces like I did here. 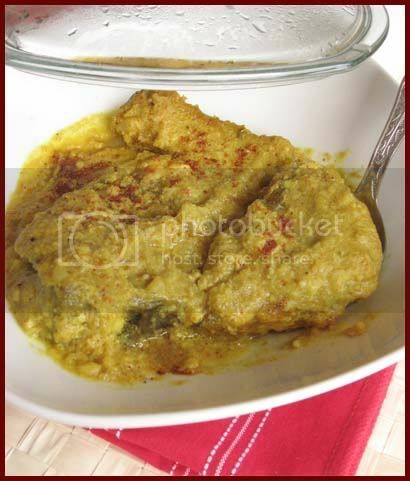 I got this wonderful recipe from Kaberi's Kitchen and she herself has also done it only with Rohu so far. 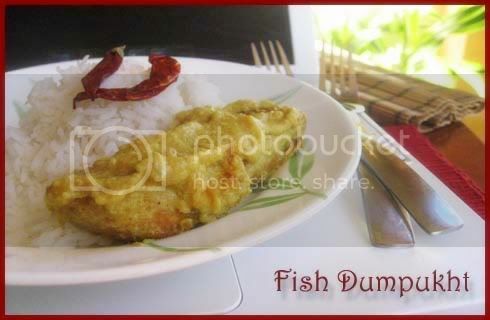 Second, though the name says DumPukht this is NO Dum Pukht. DumPukht is a technique of slow oven cooking, that is cooking on very low flame, mostly in sealed containers, allowing the meats to cook, as much as possible, in their own juices and bone-marrow. As Kaberi herself says, the original recipe called for slow cooking but to avoid raw smell of fish she did it her way. I don't think fish needs a lot of slow cooking anyways and so of course I followed her way. Fry 1 cup of chopped red onion till soft and translucent. Add the paste. 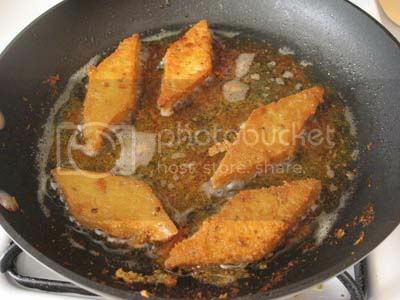 Add about 1/4 tsp of sugar and fry the paste till you see oil separating out from the masala. Lower the heat and gradually add the yogurt to the pan. Do not add all yogurt at once . At low heat mix the yogurt with the masala paste and cook for a couple of minutes. Add about 2/3 cup of water and let the gravy simmer. Once the gravy comes to a boil slide in the fish pieces. Cook for a 2-3 minutes till gravy reduces to desired thickness. Sprinkle 1/4 tsp of Garam Masala and gently mix. Cover and let it sit to integrate all the flavors.